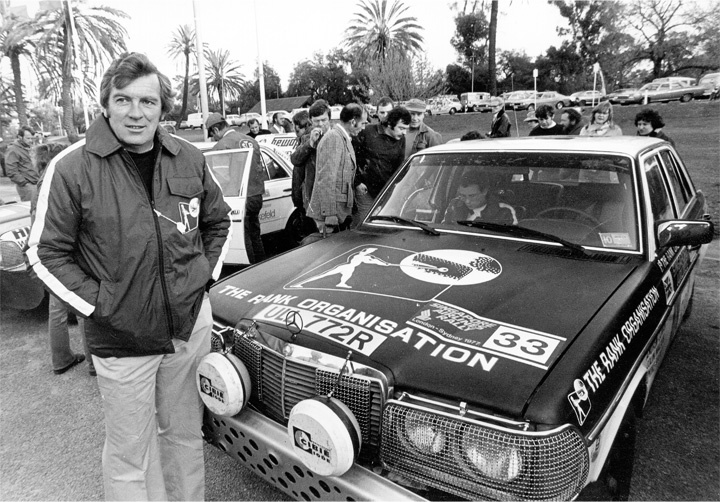 The first London to Sydney Marathon, in 1968, started as an idea over lunch hosted by the proprietor of the Daily Express, Sir Max Aitken. Sir Max flew to Sydney, and over dinner with Sir Frank Packer, owner of the Sydney Daily Telegraph, they both agreed to sponsor the event. There would be a £10,000 First Prize, which attracted 98 starters. 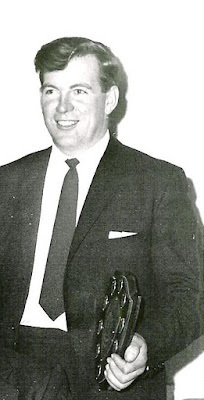 All the top brands figured they had a chance including the Rootes Group, urged on by its rally director, Des O’Dell, who thought that participation with the new Hillman Hunter would be good for business. 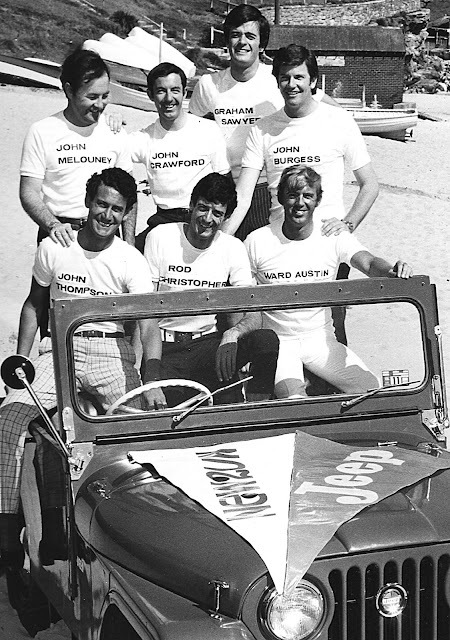 Two factory Hunters were entered, plus a couple of privateers, but no-one really rated them against the mighty Ford team. 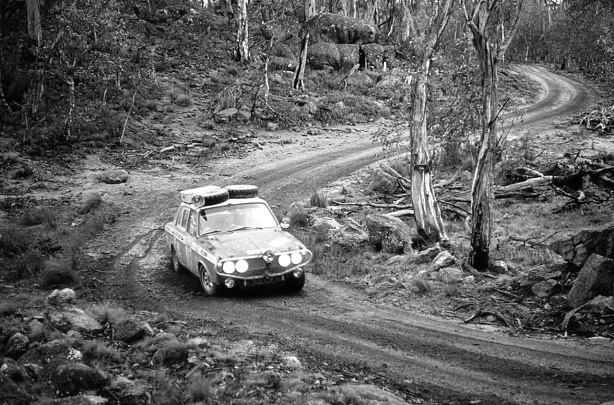 As it turned out many of the mighty, favoured teams were vanquished by breakdowns, off-road excursions into the scenery and exhaustion of both crews and service teams. However, like all good soap operas the climax came on the final day of the Marathon. 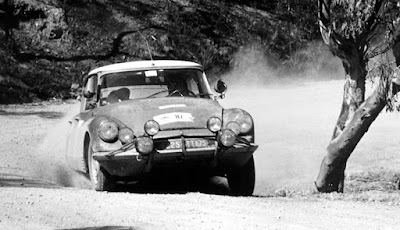 Jean Claude Ogier and Lucien Bianchi had run near or at the head of the field all through the 24 days of the event in their Citroen DS21, and enjoyed a handy lead. 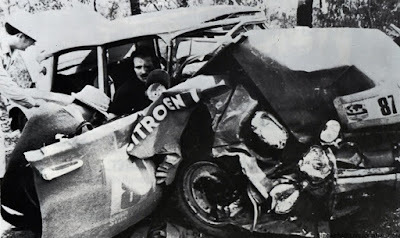 Then on the last morning, and the final run into Sydney, a pair of drunken, off-duty policemen swerved in front of the leading Citroen and that was that – end of the event for the Frenchmen. Fortunately both survived. In 1967 I had joined Sydney's Radio 2UW as a Disc Jockey, and it was the hottest station in the country, leading the ratings in every audience survey, playing the latest Top 40 hits. 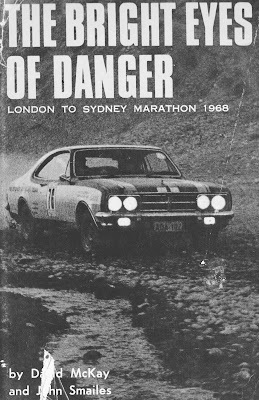 Although I had been following the rally, I knew nothing about the way the event would be ended at Sydney’s famous horse-racing track. I got in my Fiat 1500 and sped west to Warwick Farm with my ear glued to the radio, as reporters broadcast bulletins every 30 minutes. Just as I parked my car outside the front entrance to the racecourse, I heard the news about the Citroen’s fate, and that some unknown Scotsman was now leading the London to Sydney Marathon in a humble Hillman Hunter. 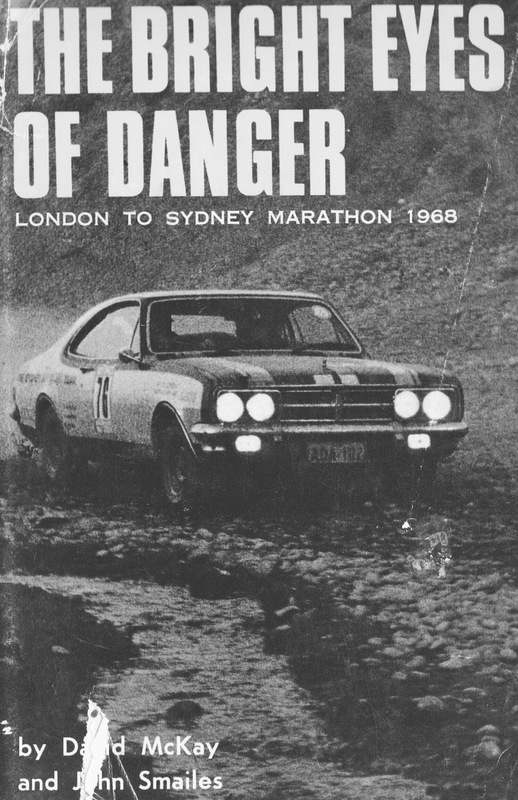 I knew enough to realize it was Andrew Cowan, and I had a photo of his car issued the previous day in a press release from Sydney’s biggest Hillman dealer. I figured that once Cowan entered the racecourse car park the chaos would mean I’d have no chance to get near him. So I simply waited until the car appeared on the highway, heading for the gate. I jumped in front, Cowan stopped, and I recorded a three minute interview through his open window, before letting him proceed to the finish line. Then I rushed across the car park, took the elevator to the top of the main grandstand, to meet the racecourse sound engineer, and we patched the portable recorder into the network which fed the race calling to the radio stations, and crafty old Don Rogers had the interview on air for the one o’clock news! The lesson I learned that day was; don’t wait for directions, just jump right in and get the job done. Fortune favors the bold, or the pushy. 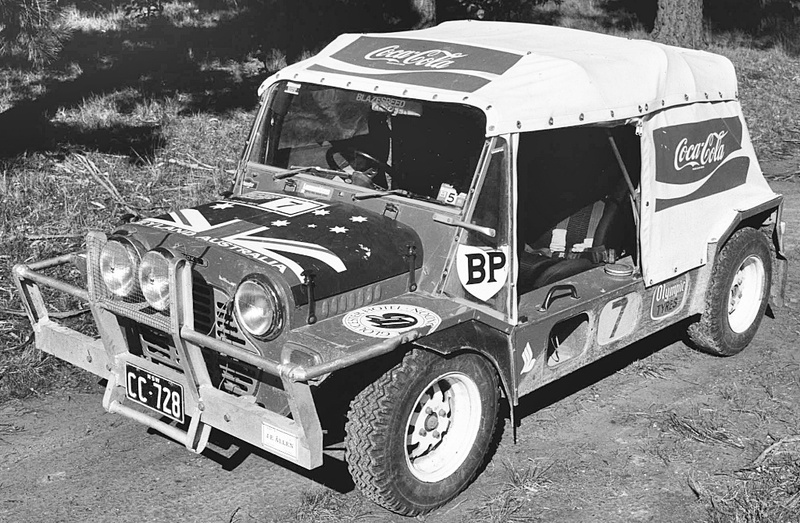 Little did I know back in 1968 that just nine years later, in 1977, I would be pulling up outside the Sydney Opera House, with my friend Hans Tholstrup in our Mini Moke, sponsored by Coca Cola, and nicknamed, ‘The Coke Moke’. 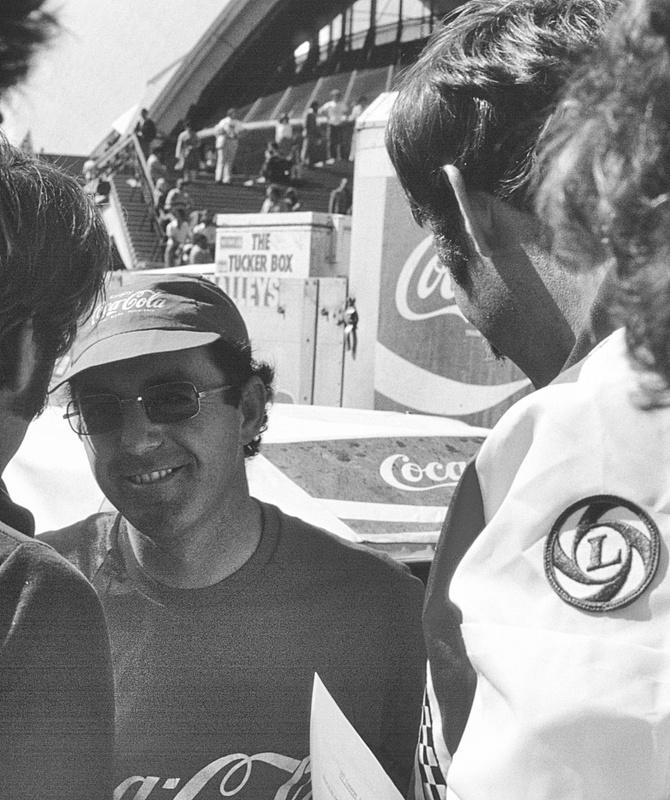 Footnote: After surviving the horrific head-on crash in December 1968, sadly Lucien Bianchi was killed during practice for the 1969 24 Hours of Le Mans. John thank you for sharing so many of your fascinating stories, they are excellent!